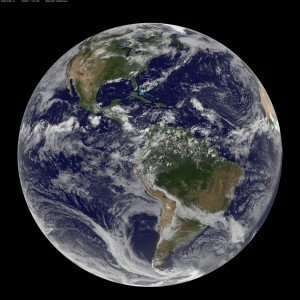 Satellite image of earth on August 3, 2010. Discussing nationalism in terms of globalization troubles and broadens simplistic notions of place. A global perspective focuses on groups with shared interests that form affinity networks beyond national borders, such as global Indigenous movements and international associations that address educational and economic inequalities, human rights violations, and so forth. Likewise, environmental issues often move beyond a single region through concerns, for instance, with climate change and disease pandemics, for example in Margaret Atwood’s novel Oryx and Crake , or Vincent Lam’s story Contact Tracing in Bloodletting and Miraculous Cures . Globalization further prompts us to think carefully about what makes a home or a community, and how global travel and movement might alter that concept. Importantly, a global literary perspective is not limited to the experiences of writers writing about their cultural, ethnic, and personal histories, or through experiences of immigration. 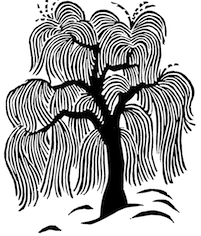 It can also include the global connections and influences of writers from around the world. 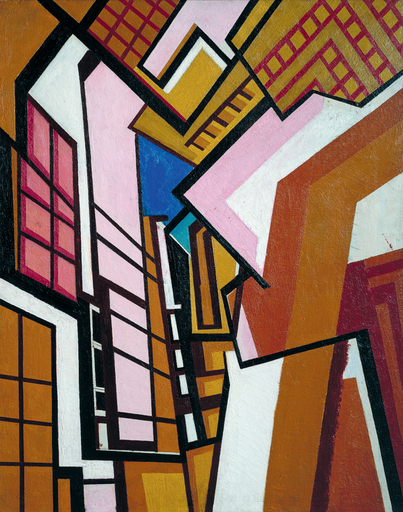 Wyndham Lewis was a Canadian-born British painter who worked as a war artist for the Canadian government. Workshop by Wyndham Lewis (1914). Photo: Tate, London 2012, T01931. For instance, the German and Latin American magic realist movements in the 1920s and late 1960s influenced Canadian writers like Jack Hodgins, Michael Ondaatje, and Leon Rooke. Similarly, in poetry, aside from the Eurocentric yet notably cosmopolitan Modernist movement, other international, and influential changes include the impact of the ancient Arabic poetic form of the ghazal on Modernist writers, such as Phyllis Webb, P. K. Page, and Lorna Crozier. Looking closer to Canada, interactions between American and Canadian writers have had an impact on many literary movements, such as the connections in the 1960s between the Black Mountain poets such as Charles Olson and Robert Creeley with the Vancouver-based TISH poets like Fred Wah, George Bowering, Daphne Marlatt, and Frank Davey. Inversely, Canadians abroad like Mavis Gallant and Brion Gysin remain important contributors to the arts, even while many readers might not realize they’re Canadian. Broad global connections between people, places, ideas, and interests break the limits of a nationalist perspective by showing how contemporary Canadian society—and its literature—reflects a global network of meanings and cultures. Is Davey right? Where is nationalism now? Is cultural nationalism still necessary? Davey, Frank. Post-National Arguments: The Politics of the Anglophone-Canadian Novel Since 1967. Toronto: U of Toronto P, 1993. Print.